The wall on the left is part of the church of St.Peters whose large west tower abuts the street. On the right is the rear of 'The Cricketers, once 'The Kentish Cricketers' and briefly 'The Oranges and Lemons Bar'. 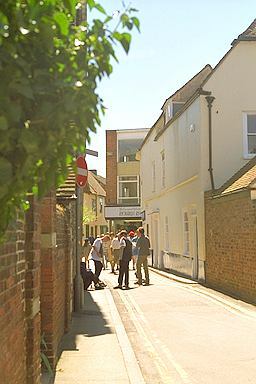 Ahead is Canterbury's main street.